1363 Groat Henry VII London mint m.m. pansy/leopard's head crowned, outer arch only jewelled (Potter & Winstanley IIIc, SCBI 23 330-382, N.1705c, S.2199) VF on a large, round, centrally struck flan. Old collection tone. Pleasing and a rare reverse mintmark. 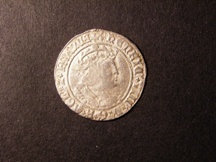 1240 Hammered (2) Henry VIII 2nd coinage Groat, Charles I shilling mint mark crown. Both about fair to fine. 154 Hammered Groats (3). Henry VI annulet issue of Calais S.1836. Edward IV 1st reign light coinage London, mint mark crown. Quatrefoils at neck and on breast. S.2001. Henry VII facing bust class III, London, mint mark pansy. S.2199. All good fine. 642 Groat Henry VIII 2nd coinage(1526-44), Laker bust A, lombardic lettering, mintmark rose. S.2337C. Fine/good fine, small scrape in the top of crown.